People who love to know and enjoy’s Goa’s beauty can opt to for sightseeing of Goa. Major Tourist attractions in Goa are its Beaches, Forts, Temple, and churches. They symbolize Goa’s history and represent its culture. North Goa and South Goa has many philosophical places to see in Goa Sightseeing Tour’s. North Goa tour covers mostly beautiful pristine beaches like Calangute, Baga, Anjuna, Vagator, Morjim, Ashvem beach etc. 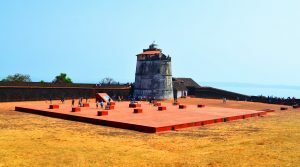 Also few famous forts like is Fort Aguada And Chapora. 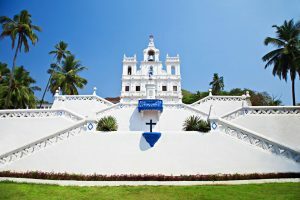 Besides that South Goa Tour will cover mostly historic places like famous churches of old goa, Hindu temples in Ponda taluka, Dona Paula Jetty, Miramar beach, Panjim city, and shopping. Sunset Boat cruise in the major attraction of South Goa Tour. The beaches of Goa is world famous. Most important In Goa, a large number of people from all over the world come to visit. The sea meal of Goa is considered famous all over the world. 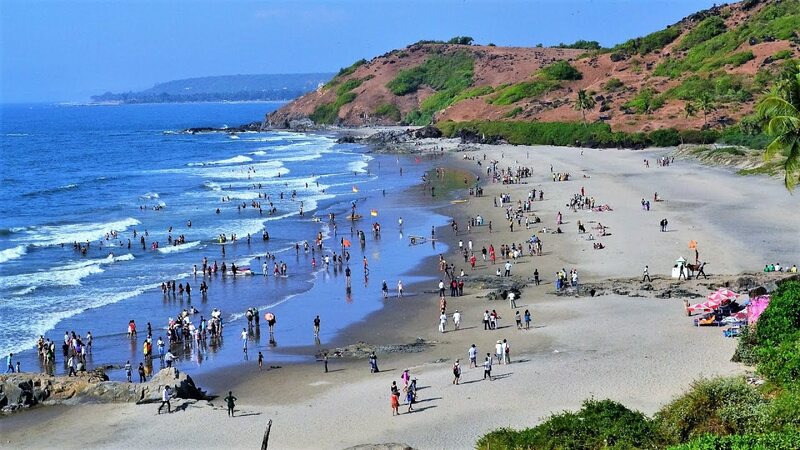 It will take more than a month for tourists to visit these beaches after visiting the entire coast of Goa. On these beautiful beaches you can lift water surfing, water scooter, water skiing etc. on the waves of the sea. Panaji is the capital of Goa. It is situated on the banks of Mandvi river and the bridge over the Mandvi river is the center of attraction. Another The confluence of river and sea in panaji produces a wonderful sight. Colva Beach, which is also present in its south, is one of Goa’s most famous sea-beaches. It is very pleasing to travelers because most of the luxurious hotels are located right here. In the evening, parties begin to move in Goa. Apart from this, two famous clubs in Goa are Titos Cafe and Maimbos Cafe. 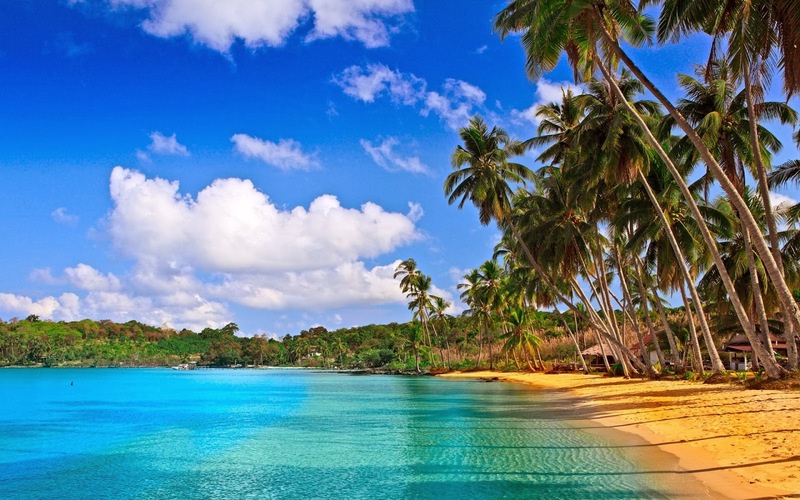 Goa has always been very popular due to the beach destination among the people. Apart from the beautiful seaboard in here, there are many good things to look like, such as fortresses, churches, wildlife sanctuaries, beautiful waterfalls as well. 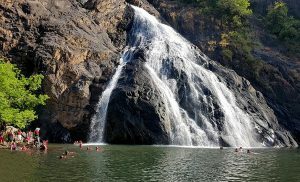 There are many beautiful waterfalls in Goa that attract tourists a lot. Do not forget to ignore these beautiful waterfalls even by mistake. You can easily enjoy the Dudhsagar Waterfalls Day Trips. This is very close to Bhagwan Mahveer Sanctuary and National park in Mollem. This waterfall is located on the border of two states. The Mandovi River passes through the Goa-Karnataka border, on which the milk basin waterfall is situated. It is approximately 60 km from Panaji. 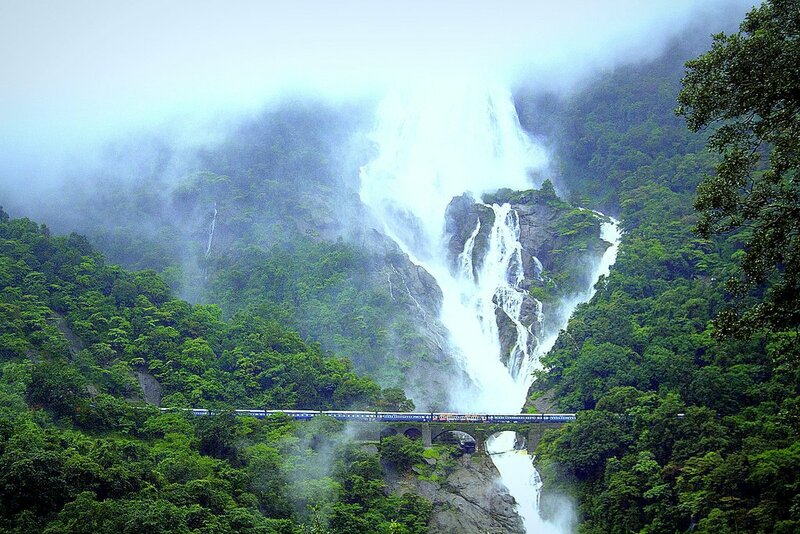 Dudhsagar waterfalls is ranked 5th in India and 227th in the list of the highest waterfalls. The height of this waterfall is 310 meters and the average width is 30 meters. This is attracts tourists more during monsoon. It takes about 2 hours and 15 minutes to reach Panjim to Kulem. You can only get here by private taxi. It is extremely mandatory to wear a life jacket while touring this waterfall. Apart from this, you can reach the waterfall while doing trekking. Watching this waterfall fall like milk from the top gives great satisfaction to the eyes. It takes about an hour to reach the waterfall from the Kulem. During this time you can adorn the natural beauty of the waterfall around the waterfall. You can also take bath in this waterfall. There are also many places to stay here. 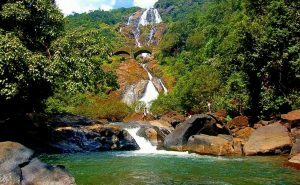 Dudhsagar Waterfall Eco and Wildlife Resorts (Ajusaka Retreat) are among the most famous, which are near this waterfalls. Apart from this, in the forests here you will find many types of animal and birds. 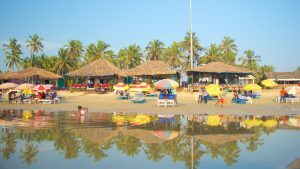 Usually Goa’s image is of a state with beautiful beaches, Where sunbathing, water sports and beach craze are everyone else. Surely these things make Goa different and special from other places. But let us tell you that besides these there is a lot to roam in here. 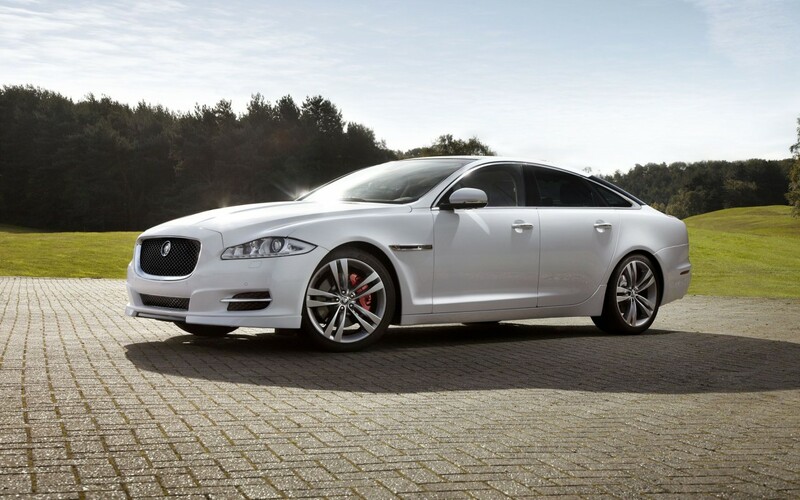 Goa Car Rental Service’s will be a good choice for a trip here. The best time to travel to Goa is from October to March. There are abundance of tourists here in this season. Due to the multiplicity of Christians, there are many cultural events in This Place at the time of Christmas which tourists come to Goa specially to enjoy this time. The place to see here on the Goa Car Rental Service’s are Panaji, Vasco da Gama, Margao, Mapusa, Ponda, Old Goa, Chapora, Vegator, Benolim and Dudhsagar waterfalls. Here is the cultural place, the museum, the collection of the Pura emphasis etc. Apart from this, Aguada Fort of This is also one of the major tourist spots. Goa’s beaches is particularly famous. The Dona Paula, Mirmar, Bogmalo, Anjuna, Vegator, Colva, Calangute, Baga, Palolem and Arambol is more viewable area. Another In the religious place you can see Basilica of Bom Jesus (St. Catharines), Church of St. Cajetan, Dutt Temple, Church of St. Francis and Mangesh Shree Mahalsa etc. 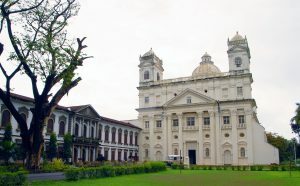 Goa’s historic churches and beautiful temples also invite tourists to spend their holidays in Goa. The nearest airport to Goa is Dobolin Airport, which is about 29 km from Goa. Direct flights to The City are available from Delhi, Mumbai, Bangalore and Chennai. 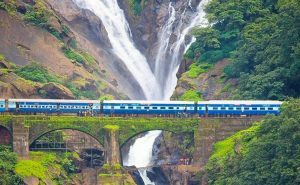 Goa is connected to ‘Konkan Railway’, so by train you can easily reach here. Goa has direct connection with the cities of Mumbai, Bengaluru, Pune etc. through the National Highway. If you want to go sightseeing but would like to avoid crowds then here is the perfect option. 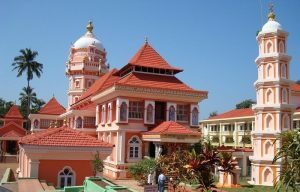 You can do a North Goa Day tours in a private car and spend the entire day going from one place to another across Bardez. Over the years Goa has been the attraction of the west coast in India. The first thing to note about Goa is that the lifestyle here is very influenced by Portugal. To start the day, you can enjoy a traditional continental breakfast. Which you will find in many places near the footpaths of Candolim located in the middle of the city in north Goa or in Panaji. While going to the breakfast, you can do great shopping at these lanes at incredible prices. From T-shirt to sunglasses and fridges to the magnet, everything is found here. Candolim, and especially Anjuna, is a Saturday-market host. On the holiday day there is a huge crowd on the banks of the sea. There are three major sea beaches in the Candolim area – Condolim Beach, Calangute Beach and Baga Beach, which is the best maintenance. Baga Beach is a popular tourist destination of North Goa. Water sports are available at all beaches. You can enjoy also jet-skis, making, riding and parasailing here. It is only a short distance from all the three beaches – Anjuna beach and world famous Karlis Sangam. Anjuna beach is a small place where you can enjoy reading or emailing at ease during the day. There is great peace here. Located in the middle of the city, Panaji is a great place to spend the holidays. Another tourist sites include Fort Aguada, The church of Mae De Dues, St Anthony Church, Mangesh Temple and the temple of Boghdeshwara.